WASHINGTON (CNNMoney) - Elon Musk's plan to beat Los Angeles traffic is starting to see the light at the end of the tunnel. 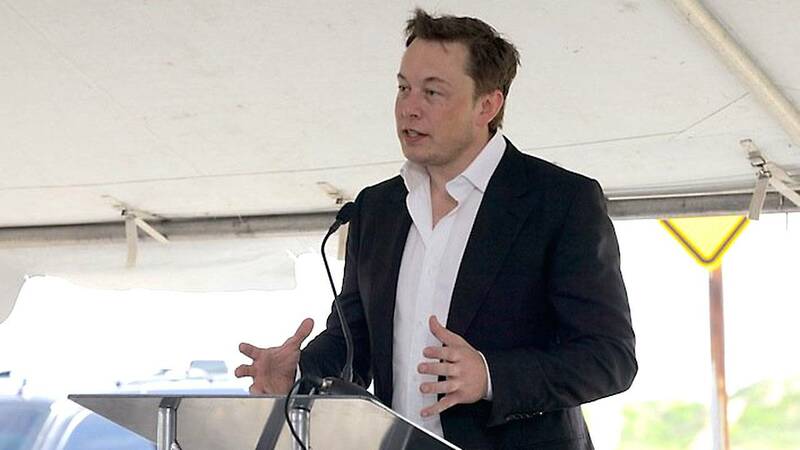 Musk, founder of the Boring Company, announced late Thursday that the tunneling startup has nearly finished building its first stretch of a Los Angeles tunnel. Does Elon Musk have an answer to the housing shortage? The tunnel will be a key component of its Loop transportation system, which will transport people in their own cars or passenger "pods" for bicyclists and pedestrians. The high-speed system will allow people to bypass LA traffic and get around the city faster. Musk -- who is also the CEO of Tesla and SpaceX -- posted a short video on Instagram of a trip through the Loop's tunnel. He said the public will be offered free rides on the Loop service in the upcoming months, if the company receives regulatory approval. The company has sought a permit for a 2.7-mile tunnel in busy West Los Angeles, but its overall vision includes a 60-mile tunnel network that would be one of the largest subway networks in the United States. Musk said pedestrians and cyclists will receive priority access to the tunnels, and that access will cost less than a bus ticket. In typical Musk fashion, he didn't release other details. It's unclear how the public will get to experience Loop. Musk previously proposed placing people's cars on "electric skates" to move them in and out of the tunnel. In August 2017, he posted a video of a Tesla car entering the tunnel via an elevator. Musk's plans have drawn criticism from transportation experts who warn they may worsen traffic congestion. In theory, more people could gravitate to cars and wait in traffic jams at tunnel entry points. The Boring Company said it won't ask for public funding, citing its plans to develop "new tunneling techniques" to reduce development costs. U.S. cities have largely halted the building of new tunnels and subways due to high costs that can exceed $1 billion per mile. "Super huge thanks to everyone that helped with this project," Musk said on Instagram. "Strong support from public, elected officials & regulators is critical to success."